Elijah said,there is a sound of abundance of rain (1KING 18:41) but others wasn`t aware and couldn`t see it like the servant of Elijah.The servant became aware after the seventh check out.We are here to announce to you the awareness of rain over Netherlands and Europe,which will affect many Nations.You can see,how the translator was experiencing the presence of God at the meeting.Get the whole videos and enjoy the Revival time.As you listen to this preaching may you see abundance of God`s presence in your life,that will change your and take you to the place you belong. JAY GOULD,the American millionaire,had an enormous fortune.When dying ,he said,"I suppose I am the most miserable man on earth",meaning money couldn`t give him what he wanted. ALEXANDER the Great conquered the known world in his generation,then he wept and said "There are no more world to conquer". WILLIAM TWEED hold a political power,he became the brilliant boss of Tammany Hall and ruled NEW YORK City but he said "My life has been a failure in everything". HAPPINESS is simple in JESUS CHRIST ALONE. "Whoso trusteth in the Lord, happy is he"Proverb 16:20. Today,if you are listen to this preaching, it is for a purpose,open yourself and start to walk in the abundance of Holy Spirit in your life. May your floors be full of wheat and overflow with wine and oil. "And I will restore to you the years that the locust hath eaten,the canker worm and the caterpillar and the palmerworm..." JOEL 2:25KJV. Locust attack the leaves;Canker worm attack the branches & tender shoots; Caterpillar mostly make decay of a tree and Palmer worm attack the fruits.This is just few areas but try to make a re-search to know more negative effect of these animals on a tree,so that you will really understand the fullness of restoration God was talking about.In case you have more details about the above animals , share them with us on OFM-TV . eschatological age churches, nations, human and social. Debrich J. Acheampong central theme of his preaching focus on the waves/moves of the holy Ghost, Jesus, Judgment of God with love,faith, maturity, fatherhood, discovery of individual potential and assist them to reach their God given purpose, transforming followers into leadership by adding prophetic value to make their divine mandate useful.Because " many are beating about the bush in ministry". 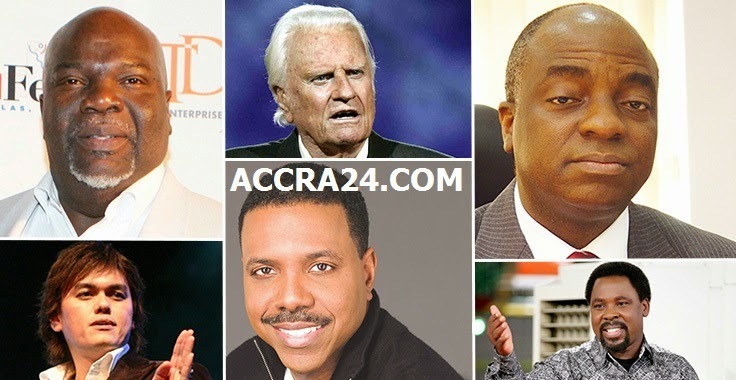 Debrich was once a volunteer of National Evangelism Commission(NECO) and a coordinator of West Africa Center for ministerial studies based in Lecompton U. S. A.
Jeremiah also hold certificates of Commission and partnership from Dr. Morris Cerullo Ministries based in California U.S.A. and Dr.Creflo Dollar ministries plus doctorate certificate. After seven years of studies of Science with the desire of becoming medical doctor, there was a paradigm shift in Debrich Jeremiah`s life, which place him in his current position as the preacher of the Gospel of Jesus Christ.Debrich Jeremiah is gifted Author and a Ghost writer,which help him to write books for other preachers and his ministries by God`s Grace. Depicted vividly in his book "Understanding of Missions "-The Heart Beat of God. His success story in missionary work at Asia, specifically China and Hong Kong which has virtually been taken over by other spirits rather than that of God puts him a unique class among today`s Christians/Ministers. Dr. Debrich Jeremiah Acheampong believes that although missionary work is very important for the propagation of the Gospel, it is equally important for everybody who wants to go on missions to yield him/herself to the direction of God, Because he believes that, there is time for everything and therefore one has to know the right time to strike on the mission field in other to get good results.There is no doubt that Dr. Acheampong calling to full time ministry just after his national service with the Government of Ghana prepared him for missionary work. His experience at the feet of the men of God while he worked with the Assemblies of God Church at Kwahu-Mpraeso, Konongo, and Kumasi also spurred him on to do exploits in unknown lands for God. His extensive illustrations, definitions and practical examples of Christians who have gone on missions within and outside their countries make reading of the book more revealing and interesting." OFM-TV GLOBAL SLIDE-GUESTBOOK, CALENDAR & DIRECTION MAP. Praise the Lord Man of God!!! It has been a very long time not here just got back from a powerful revival that begun 19th to 25th with a guest preacher from London. I was awesome though in a while i have dearly missed you all my friends and I pray all is well in the name of Jesus! We had an awesome revival where we visited hospitals, prayed for the sick and gave out free bed nets and life straws to the rural people and on 22 we had a great celebration where we fed hundreds of people especially the Orphans in Kitenda Village Mukono District. Praise the lord for the many souls won to Christ. We pray for the day that you will come too to bless the people of God with the wonderful fellowship.Amen.